Montagu has also been described as a rock climbers paradise, some would go as far as calling Montagu the Rock Climbing Capital of South Africa, and the infamous face ‘Legoland’ is situated 5 minutes driving from the B&B. See the Rock climbing in Montagu gallery for photos taken at Legoland. The recently completed Castle in the Sky rock climbing route is situated on the Aasvoëlkrans Hiking Route, ten minutes hike from the B&B. The best climbing conditions are found between May and September. 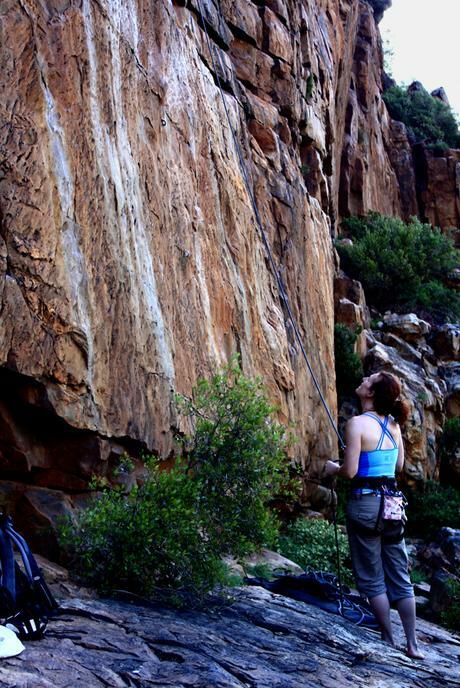 The mountains and kloofs surrounding Montagu offer the perfect crags, or quartzitic sandstone, for rock climbing.